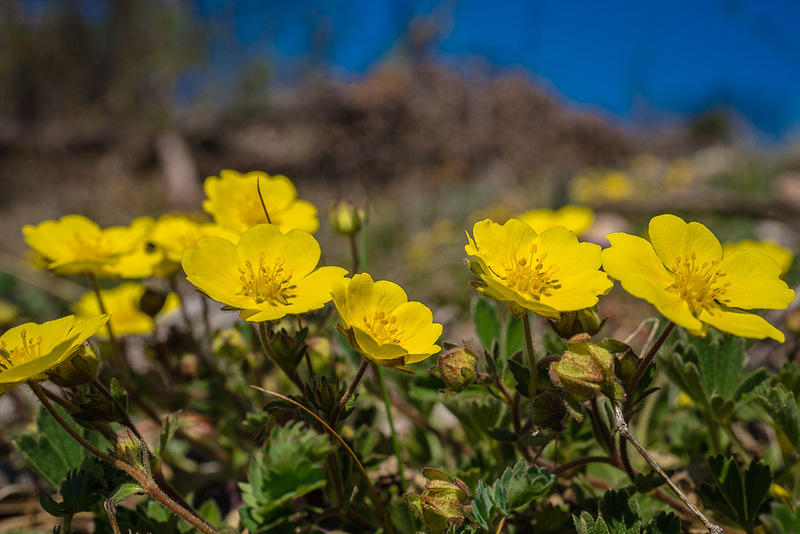 Short lunchtime walk to the Blosser Berg near Winzendorf. 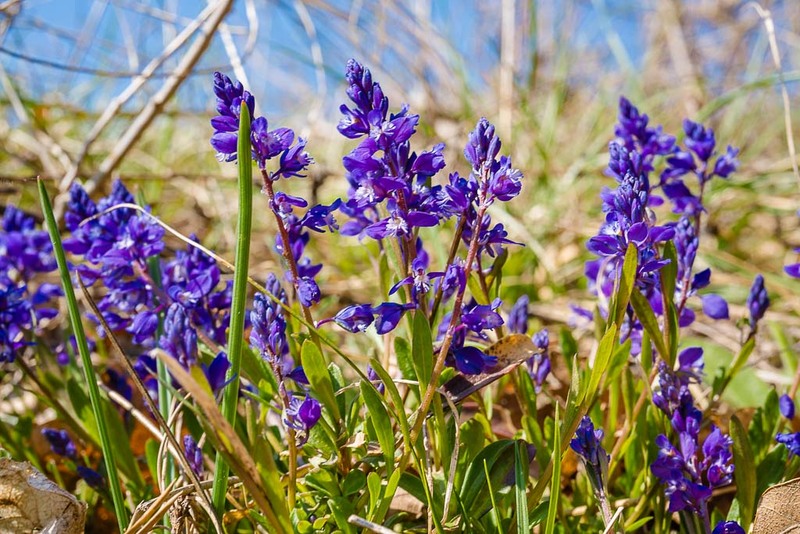 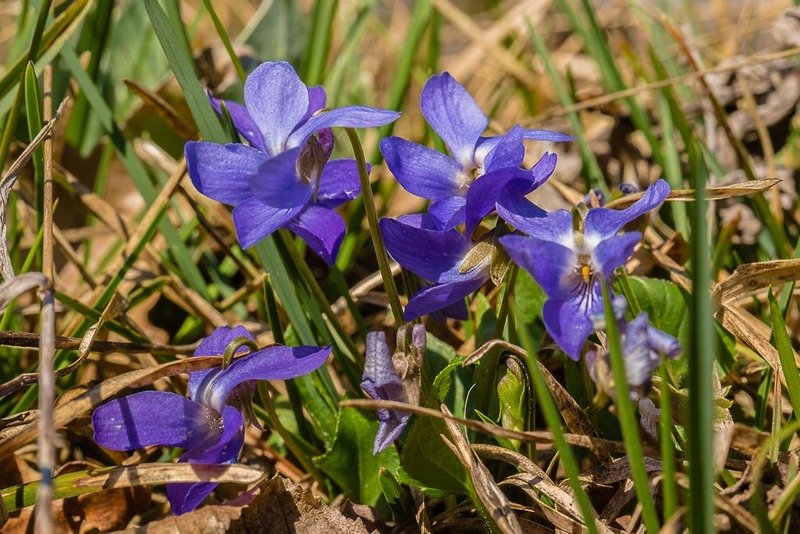 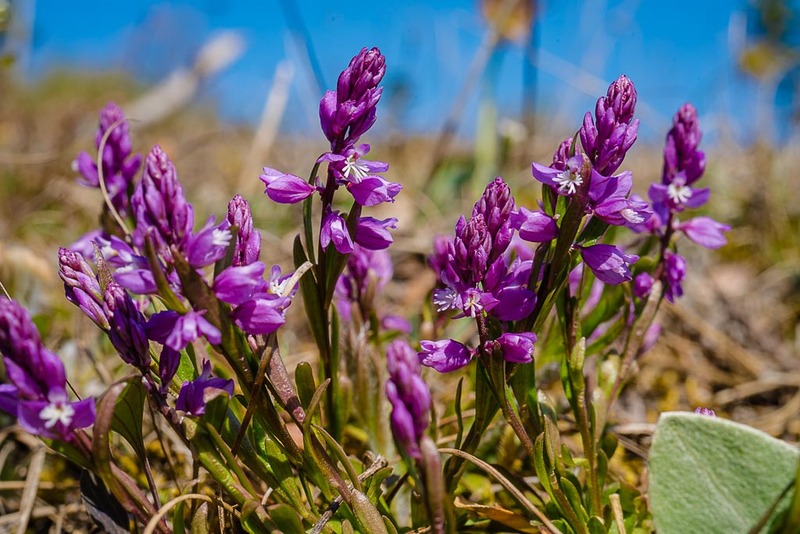 Common milkwort (Polygala vulgaris) are seen frequently today. 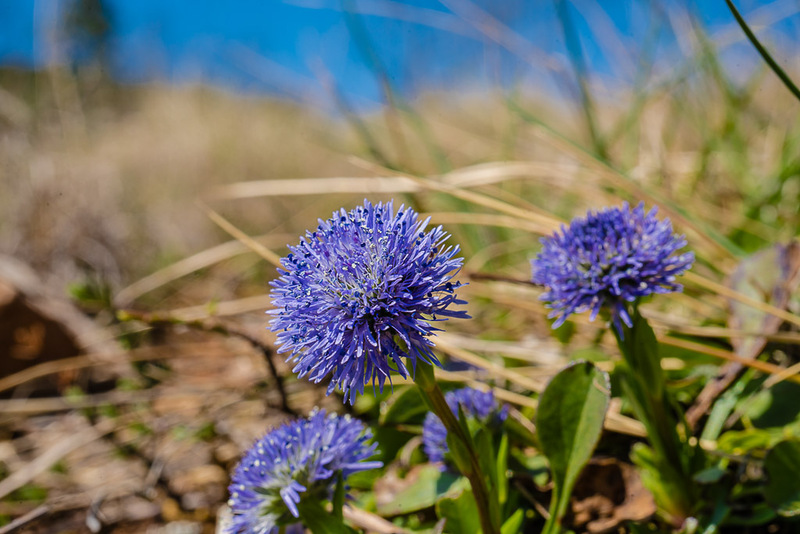 First globe flowers (Globularia nudicaulis). 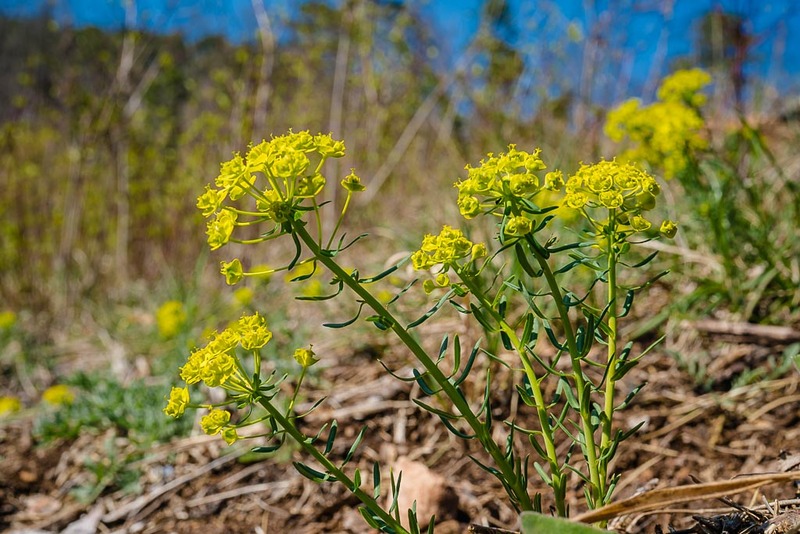 Early Cypress spurge (Euphorbia cyparissias) - later on, it usually grows higher. 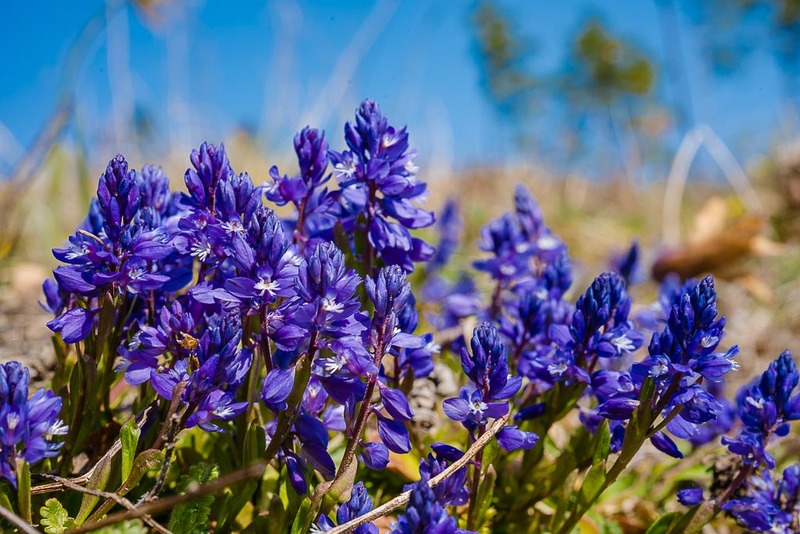 ... and Common milkwort (Polygala vulgaris) once more in blue. 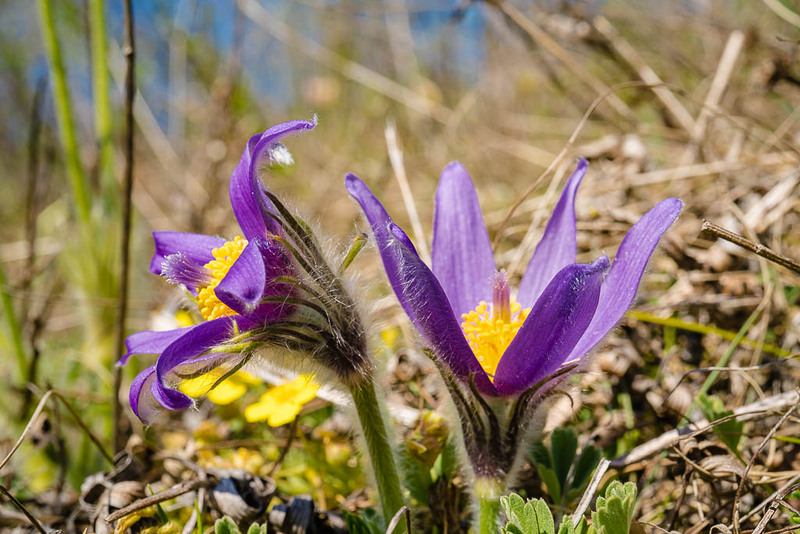 Last Pasque flowers (Pulsatilla vulgaris). 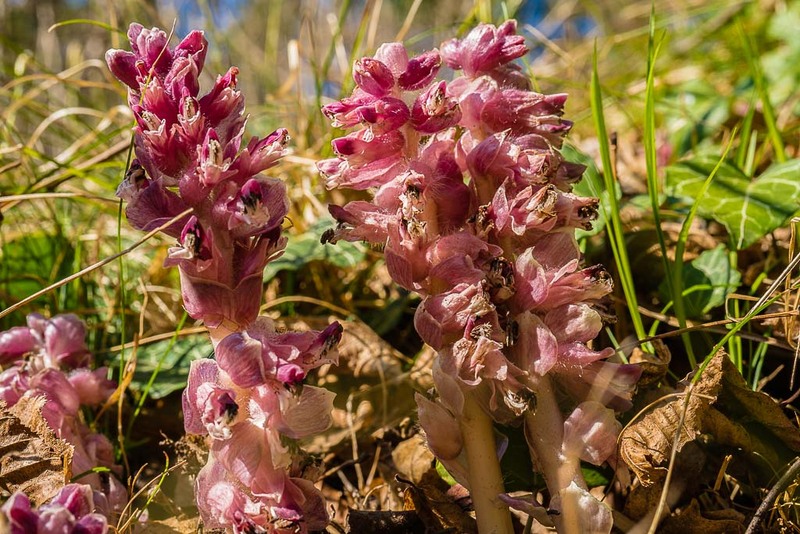 In the forest, I can find this rare parasitic plant - a large group of Common toothwort (Lathraea squamaria), around the trunk of a pine tree.